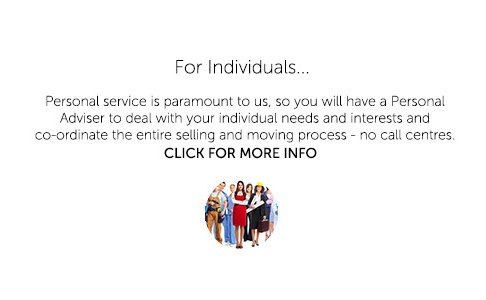 With 13 experience, our specialist team is standing by to help you sell quickly, with the minimum of fuss and at the best possible price. 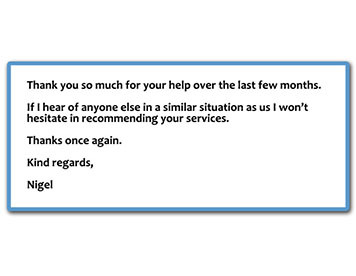 They will always be there to deal with the tedious business - but you will remain in full control the entire time. 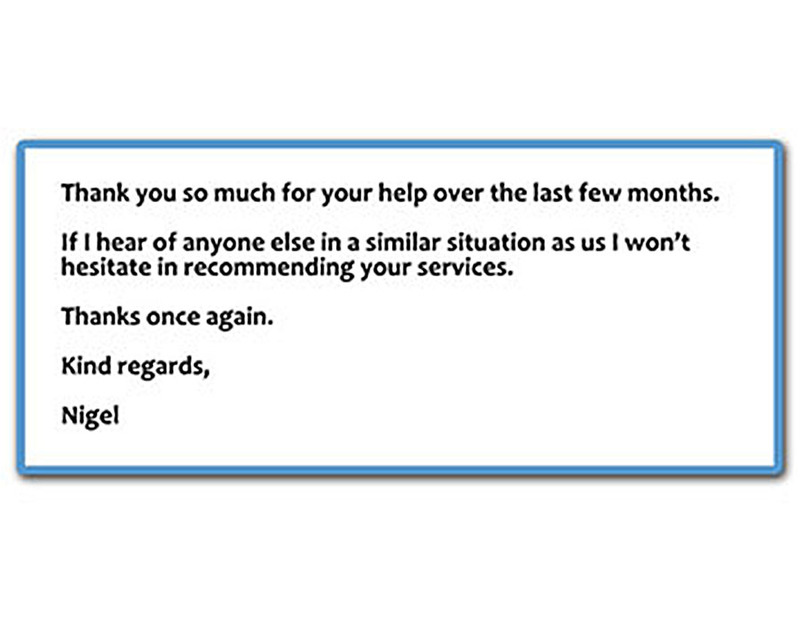 We are independent from any estate agents which means that, unlike others, we are able to select the agent who is most suitable for you. 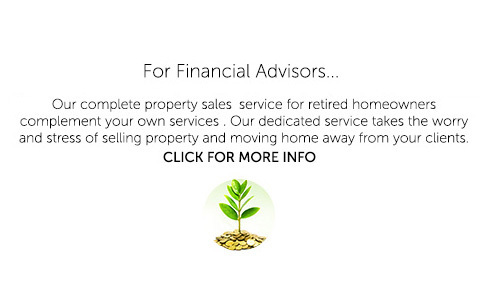 We provide a comprehensive range of dedicated property-related services for the retired homeowner. 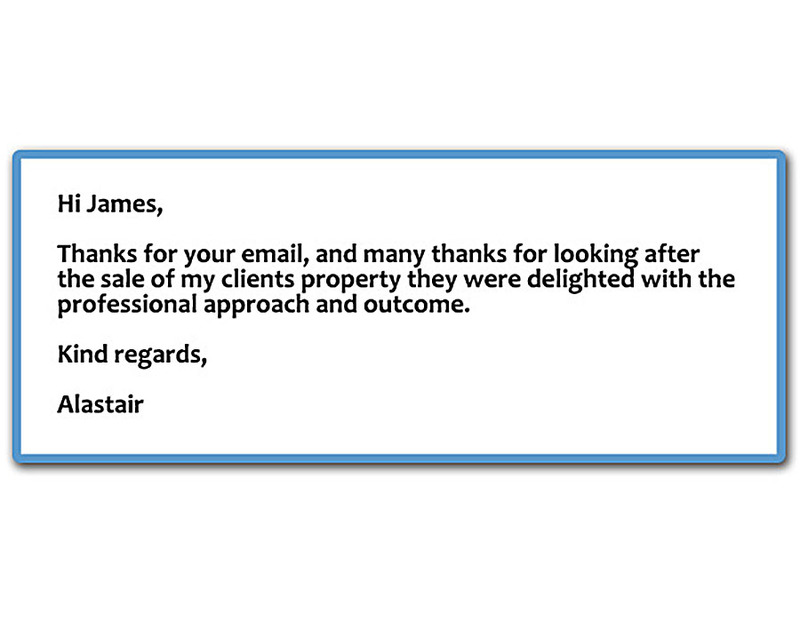 We offer a comprehensive property sales service - not just certain aspects of it. 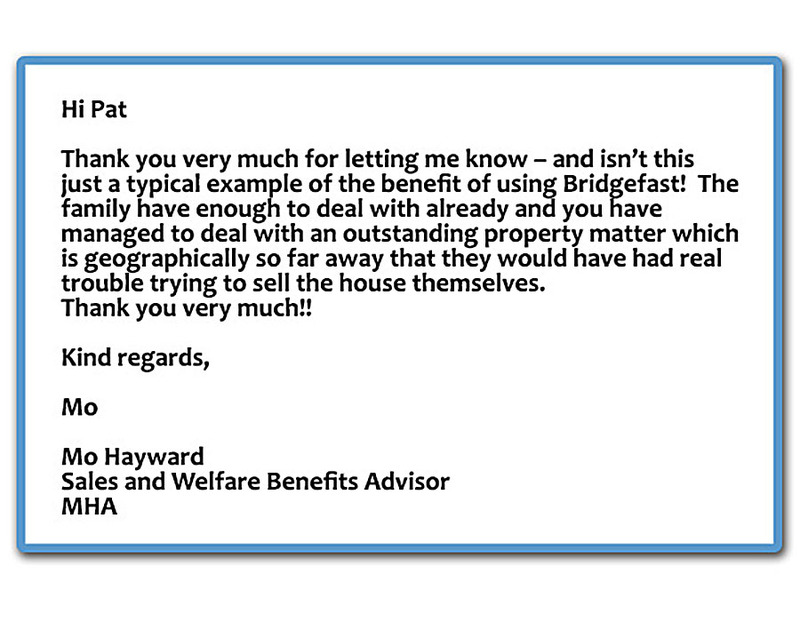 Your Bridgefast adviser will help you choose which experts to appoint for the sale of your home. 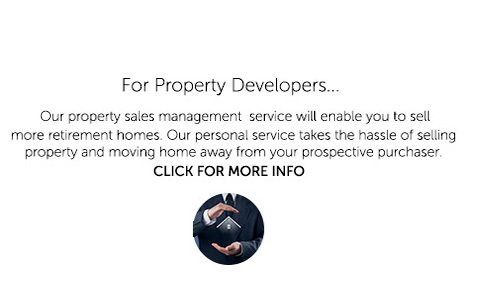 After that, they will manage the entire process - keeping you up-to-date with all developments. 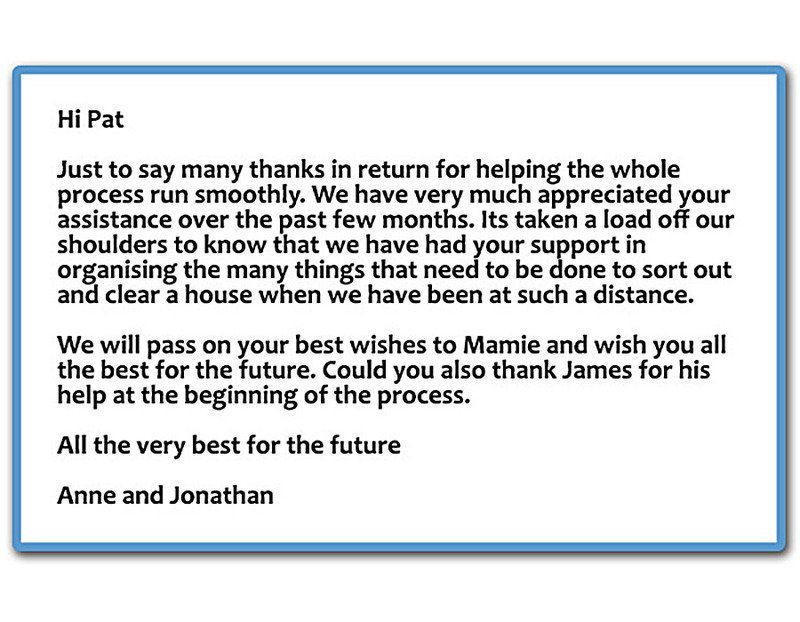 We offer a unique blend of dedicated property-related and home-move support services for retired homeowners. If you're selling your home and moving, we'll take the stress and hassle away, by dealing with everything from solicitors to estate agents. 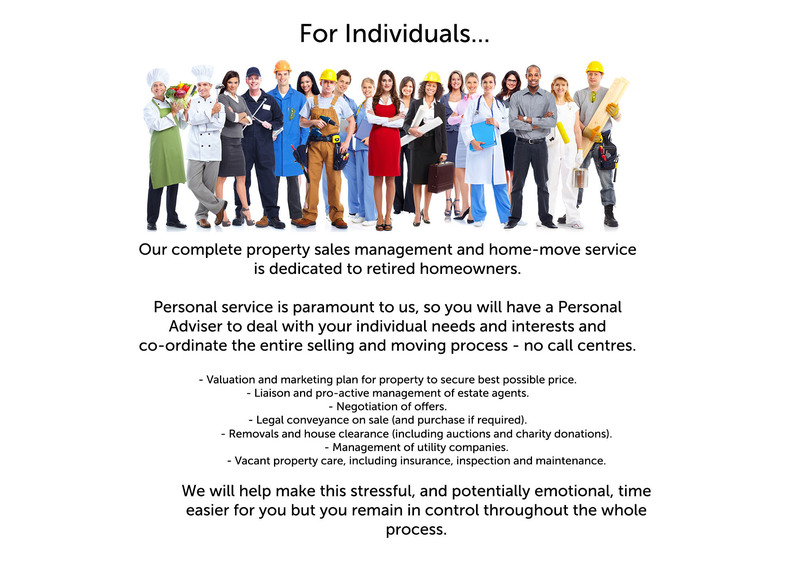 Part of what makes selling a home, at any time of life, so stressful, is that the process involves lots of experts, each with their own special role. 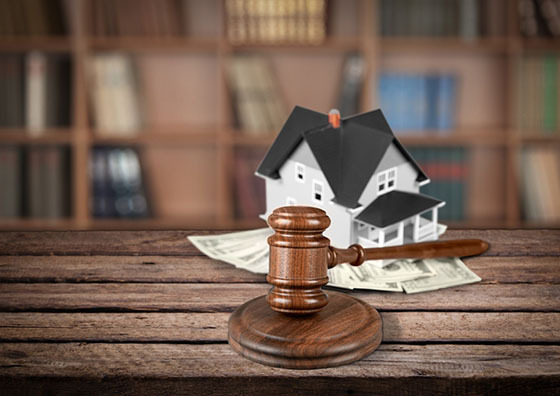 Estate agents and solicitors have their own specialities and handle individual processes within the conveyancing chain and sometimes it is difficult to keep track of who is doing what. 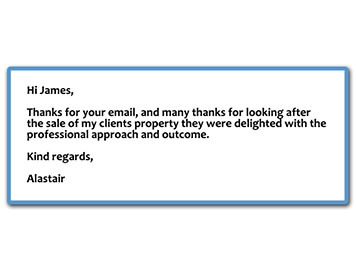 We offer a comprehensive property sales service - not just certain aspects of it. 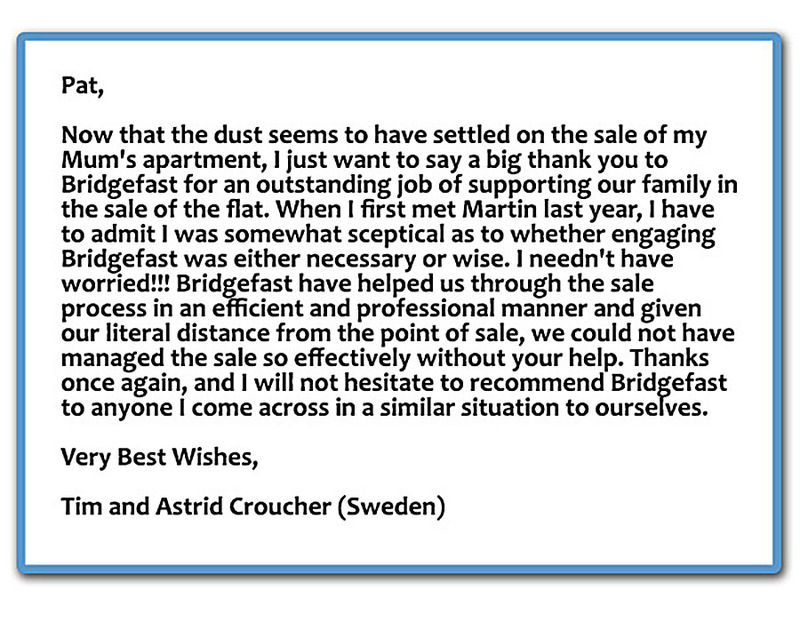 You can forget all about the challenges of selling your home and leave the entire process to us. 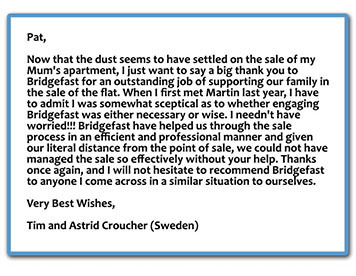 The Bridgefast team will manage everything - from the initial marketing of your property to making sure you get the best possible price. 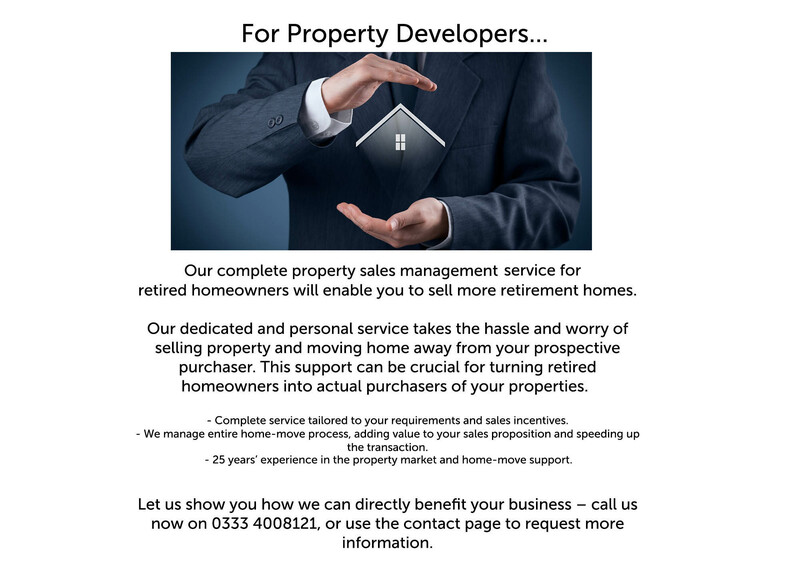 Dealing with surveyors, estate agents, solicitors and prospective buyers can be something of a juggling act, but you won’t have to do that either - we will. 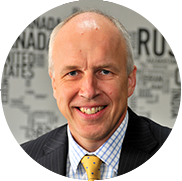 Rob’s career has given him a broad range of experience in financial reporting and control, corporate finance, acquisitions, treasury management and taxation. 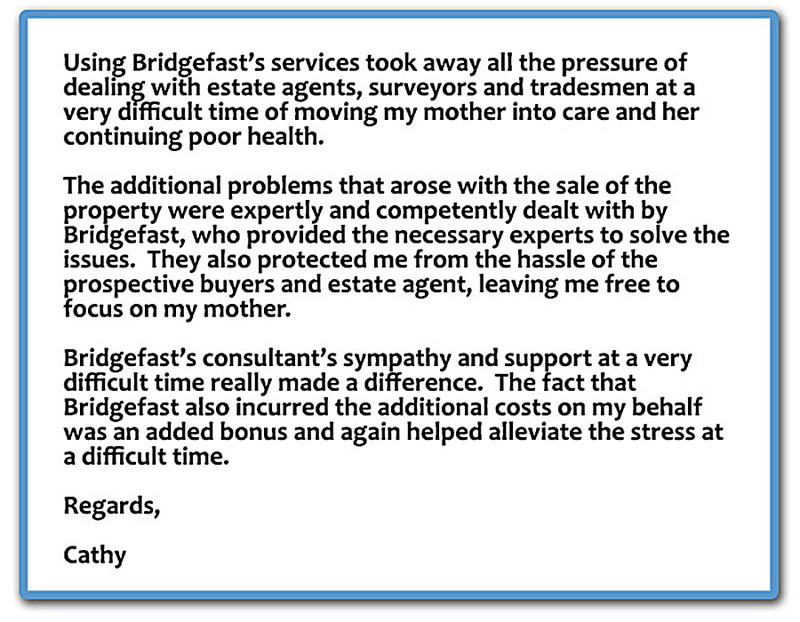 He has been intimately involved in all aspects of the development and growth of Bridgefast. 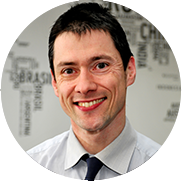 James has worked for Bridgefast for almost nine years in a number of roles, and historically for HCR Group (of which Bridgefast is part) as well. His “leisure” time is fully occupied by his young son, and a passion for sports, as a spectator, particularly cricket and football. What is life like for an older person today? 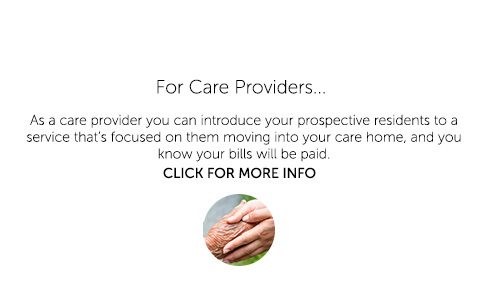 Employee benefits - will eldercare become as commonplace as childcare? With many workers across the UK assuming responsibility for the welfare of older relatives, employers are beginning to take the concept of ‘eldercare’ as seriously as they do childcare. More and more, this type of employee benefit is being seen as critical by businesses seeking to get the best out of their workforce. 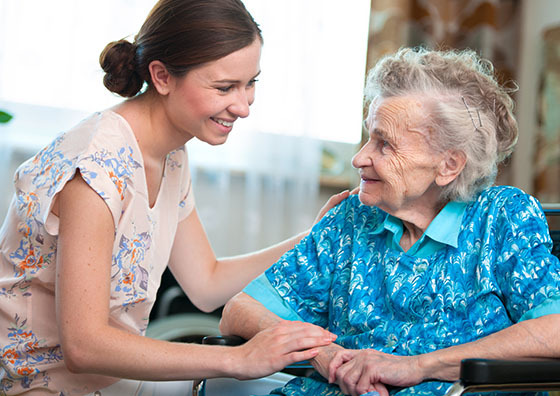 “The stresses of looking after an elderly relative can be ever present - and not always conducive to doing a good job for your employer,” said Bridgefast’s eldercare expert, Rob Dolbear. The support group - Employers for Carers - reports that one in seven employees has caring responsibilities outside of work. And, with many people living for longer, this figure is likely to increase steadily over the coming decade. There is also a ‘sandwich generation - those aged between 40 and 60 who look after both their children and their older relatives. Whilst there are circumstances where the family home can be excluded from the means-test calculation (for example a spouse is still living at home), where it is included, a significant majority of houses will exceed this threshold. Another measure announced is that where individuals do have to self-fund, they can defer payment by securing a debt against the value of their property. The debt will be repayable on death with interest accruing in the intervening period. 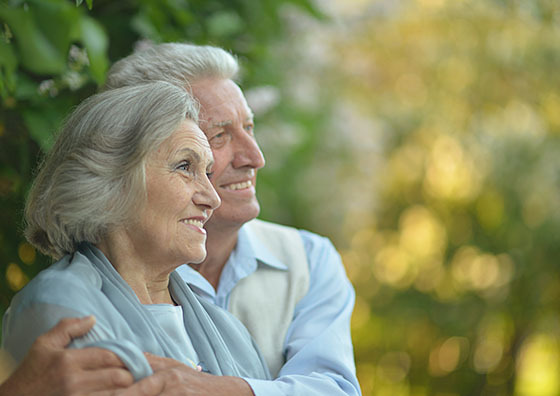 Research by the Prudential found that more than a quarter of retired homeowners expect to sell their house to help ease the pressure of living on a pension. Most of those planning to sell insisted that they intend to buy another property, rather than going into residential care, releasing tens of thousands of pounds in the process. But for almost half of those making plans to downsize the main attraction was simply a less complicated life. 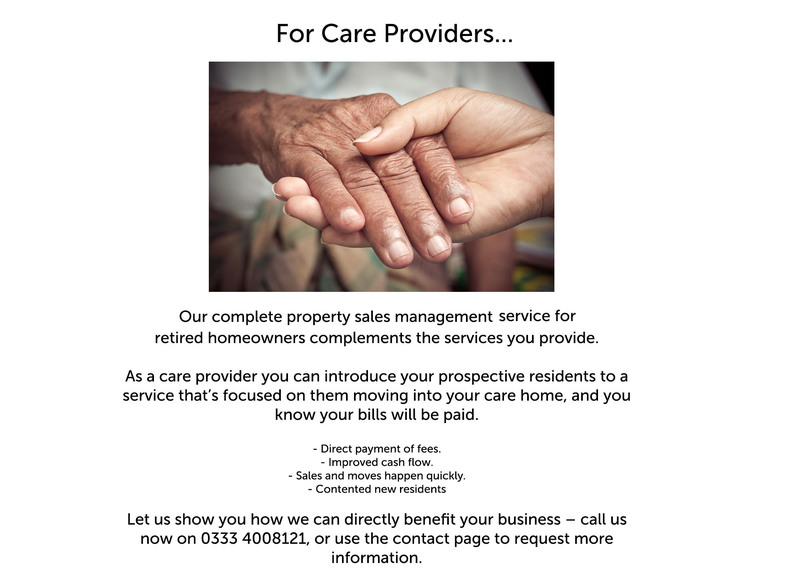 According to Government estimates, around 40,000 elderly people a year are forced to sell their home to meet the cost of care. But the Prudential findings suggest that growing numbers of people are considering putting their house on the market long before care becomes a consideration, to enable them to enjoy their retirement with fewer financial worries or a more manageable lifestyle. Overall, almost three quarters of the 10.4 million people over the age of 65 in the UK own the property they live in. 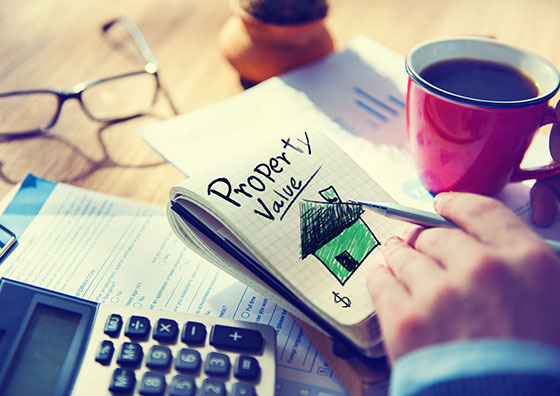 The survey found that 26 per cent of retired homeowners said they expected to sell their home. If the thought of moving house sends your stress levels soaring, imagine what it must be like to leave your home of many years for residential care. The practicalities are challenging enough but when coupled with the emotional upheaval of saying goodbye, it's easy to feel overwhelmed. 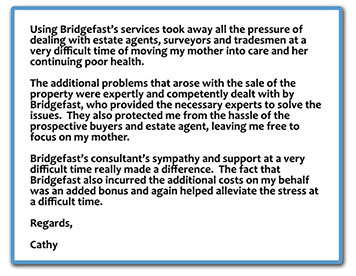 Help is at hand though - thanks to a team of specially-trained personal advisors at Bridgefast Property Services. 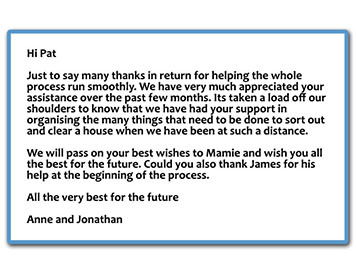 SubmitFor Professor Peter Fookes FR Eng and his wife, Edna, having one such advisor to take the ‘load off their shoulders’ was a huge help. 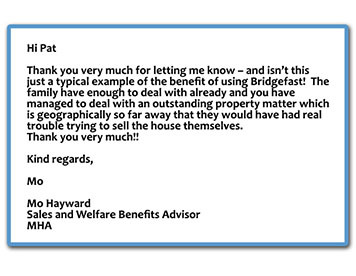 Bridgefast Property Services Business Development Supervisor, James Perrott, provides a single point of contact and co-ordinates the entire selling and moving process – from securing the best possible price to managing solicitors and arranging house clearances whilst always ensuring that the client remains in control. By 2030 there will be a 50% rise in those aged over 65. And a growing number of us want to carry on in our jobs. This will demand huge changes in our attitudes to age and work. Do you like your job? 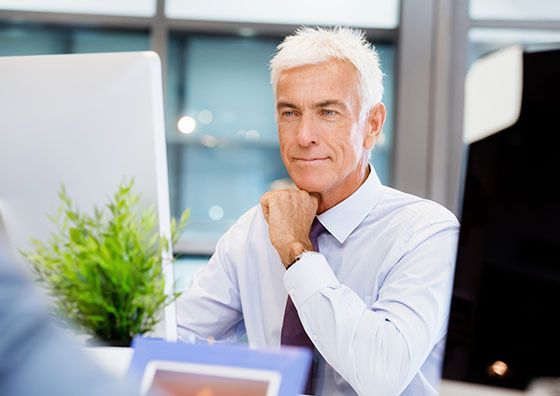 Finding an occupation you thrive in might not just be desirable but a necessity, given that the traditional life path of employment followed by a leisurely retirement is long gone. 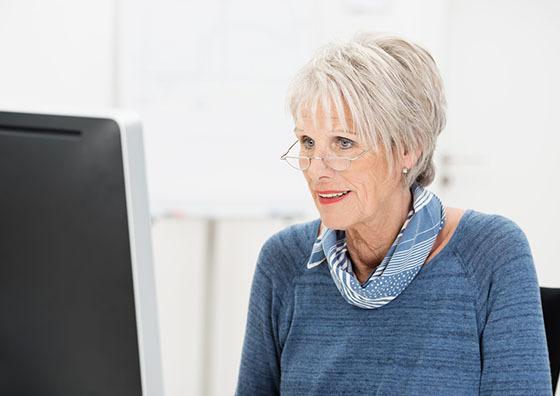 The number of people aged 65 or over in work increased by 30,000 to more than a million in the three months to June, according to the latest figures from the Office for National Statistics – and this is set to rocket over the coming decades. Between 2010 and 2030, it is predicted there will be a staggering 50% increase in people aged 65 and over to 15.5 million. People are living longer, healthier, more active lives, while state retirement age is a subject of national debate in Europe, as the pressure of an ageing population affects the costs of welfare provision. France's main employers' union warned its government last week of the need for deeper reform to tackle a debt-ridden pension system, urging it to break the retirement age taboo. Subscribe to our newsletter email to get notification about fresh news and latest promos. Stay always up-to-date! 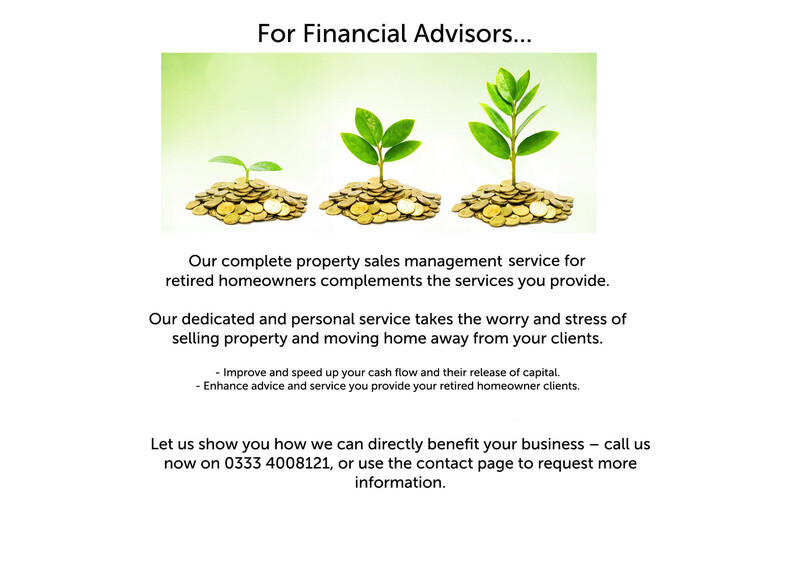 Copyright © 2017 Bridgefast Property Services. All Rights Reserved.